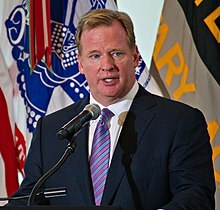 Roger Stokoe Goodell (born February 19, 1959) is an American businessman who is currently the Commissioner of the National Football League (NFL). On August 8, 2006, Goodell was chosen to succeed retiring commissioner Paul Tagliabue. He was chosen for the position over four finalists; he won a close vote on the fifth ballot before being unanimously approved by acclamation of the owners. He officially began his tenure on September 1, 2006, just prior to the beginning of the 2006 NFL season. On December 6, 2017, the NFL announced that Goodell signed a new contract that will start in 2019. Commentators have described him as "the most powerful man in sports." Goodell was born in Jamestown, New York on February 19, 1959, to United States Senator Charles Ellsworth Goodell of New York, and Jean (Rice) Goodell of Buffalo, New York. He graduated from Bronxville High School where, as a three-sport star in football, basketball, and baseball, he captained all three teams as a senior and was named the school's athlete of the year. Injuries kept him from playing college football. Goodell is a 1981 graduate of Washington & Jefferson College in Washington, Pennsylvania with a degree in economics. Goodell began his NFL career in 1982 as an administrative intern in the league office in New York under then-Commissioner Pete Rozelle. 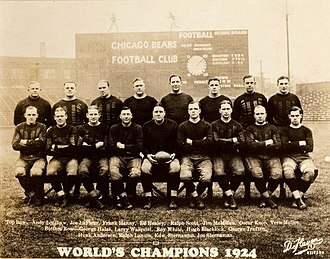 The position was secured through a letter-writing campaign to the league office and each of its then 28 teams. In 1983, he joined the New York Jets as an intern, but returned to the league office in 1984 as an assistant in the public relations department. In 1987, Goodell was appointed assistant to the president of the American Football Conference, Lamar Hunt, and under the tutelage of Commissioner Paul Tagliabue filled a variety of football and business operations roles, culminating with his appointment as the NFL's Executive Vice President and Chief Operating Officer in December 2001. As the NFL's COO, Goodell took responsibility for the league's football operations and officiating, as well as supervised league business functions. He headed NFL Ventures, which oversees the league's business units, including media properties, marketing and sales, stadium development, and strategic planning. Goodell was heavily involved in the negotiation of the collective bargaining agreement with the NFLPA and NFL owners during the summer of 2011. He also played an extensive role in league expansion, realignment, and stadium development, including the launch of the NFL Network and securing new television agreements. When Tagliabue retired, Goodell was one of the candidates in contention for the position. In the second and third ballots, Goodell and Gregg Levy were the only candidates to receive votes (Goodell 17, Levy 14). Goodell increased his lead to 21–10 after the fourth ballot, falling one vote shy of election, but on the fifth round of voting two owners swung their votes to him to achieve the necessary two-thirds majority (Goodell 23, Levy 8). The Oakland Raiders abstained from the voting in each round. On August 8, 2006, Goodell was chosen to succeed Tagliabue; he assumed office on September 1, the date Tagliabue was required to step down. Goodell believes his primary responsibility as commissioner is protecting the integrity of the game and making it safer—"protecting the shield", as he puts it (a reference to the NFL's shield logo). However, some of his actions in this regard have been met with criticism. In 2014, Goodell was awarded the third highest honor within the Department of the Army Civilian Awards scheme, the Outstanding Civilian Service Award, for substantial contributions to the US Army community while serving as the NFL commissioner. 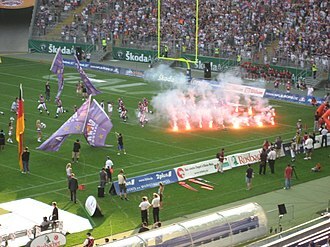 The spring league NFL Europe, founded in 1995 and since 2004 with five of six teams based in Germany, was shut down by Goodell after the 2007 season. 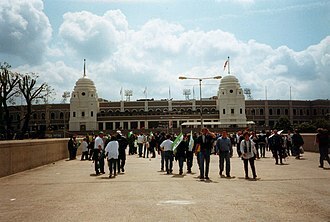 The NFL International Series began in October 2007 with regular season games in London. In addition to suspensions, Goodell has also fined players for on-field misconduct. For example, on October 19, 2010, the NFL handed out fines to Pittsburgh Steelers linebacker James Harrison, Falcons cornerback Dunta Robinson, and New England Patriots safety Brandon Meriweather after they were involved in controversial hits the previous Sunday. Goodell released a memo to every team in the league stating that "It is clear to me that further action is required to emphasize the importance of teaching safe and controlled techniques, and of playing within the rules." The NFL's reaction to the hits was itself controversial and Goodell came under criticism from players like Troy Polamalu, who felt he had assumed too much control and power over punishment towards players and was making wrong decisions. Two national political advocacy groups, CREDO and UltraViolet have submitted a petition with over 100,000 signatures calling on Goodell and the NFL to "address its domestic violence problem." This came after Ray Rice was suspended for two games when he was accused of assaulting his then fiancée, Janay Palmer, who is now his wife. On September 13, 2007, Goodell disciplined the New England Patriots and head coach Bill Belichick after New England attempted to videotape the defensive signals of the New York Jets from an illegal position on September 9. In the aftermath, Belichick was fined the league maximum of $500,000. 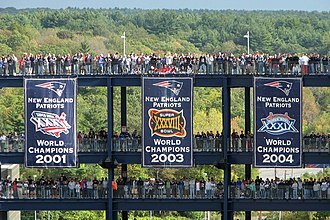 The Patriots themselves were fined $250,000 and had to forfeit a first round pick in the 2008 NFL Draft. Goodell came down hard on the Patriots because he felt Belichick's authority over football operations (Belichick is effectively the Patriots' general manager as well as head coach) was such that his decisions were "properly attributed" to the Patriots as well. Goodell said he considered suspending Belichick, but decided against it because he felt fining them and stripping them of a draft pick were "more effective" than a suspension. Outside of player conduct, Goodell is also known for his work in the 2011 NFL lockout. Prior to the start of the 2011 NFL season, Goodell worked with NFL owners and the NFLPA on settling the NFL lockout which ran from March 11 to August 5. During the lockout, at the request of some NFL teams, he held conference calls with season ticket holders where he discussed the collective bargaining agreement and conducted question-and-answer sessions on various NFL topics. In March 2012, Goodell revealed evidence that players and coaches on the New Orleans Saints had instituted a bounty program in which Saints defensive players were paid bonuses for deliberately knocking opposing players out of games. Then-defensive coordinator Gregg Williams administered the program, and as many as 27 Saints defensive players were involved. Later that month, Goodell handed down some of the harshest penalties in NFL history. He suspended Williams, who had left to become defensive coordinator of the St. Louis Rams, indefinitely (Williams would later be reinstated at the start of the 2013 season). Goodell also suspended head coach Sean Payton for the entire 2012 season, general manager Mickey Loomis for eight games and assistant head coach Joe Vitt for six games. Additionally, the Saints themselves were fined a league maximum $500,000 and had to forfeit their second round draft picks in 2012 and 2013. Goodell was particularly upset that those involved in the program lied about it during two separate league investigations of the program. Sanctions for players were not handed down at the time, and Goodell stated he would refrain from penalizing players until the NFLPA completed its investigation of the affair. By June 2012, the league and the NFL Referees Association had not yet come to terms on a new collective bargaining agreement, thus failing to resolve a labor dispute. Accordingly, the NFL locked out the regular NFL game officials, and opened the 2012 season with replacement referees. The replacement officials consisted of low-level college and high school officials. 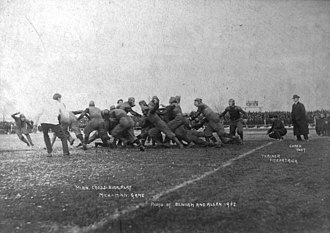 None were Division I college referees at the time since the league wanted to protect them from union backlash and let them continue working their scheduled games during the concurrent college football season. In addition, many of the top Division I conferences barred their officials from becoming replacements anyway because they employed current and former NFL referees as officiating supervisors. It is lost on us as to how you allow a Commissioner to cavalierly issue suspensions and fines in the name of player health and safety yet permit the wholesale removal of the officials that you trained and entrusted to maintain that very health and safety. 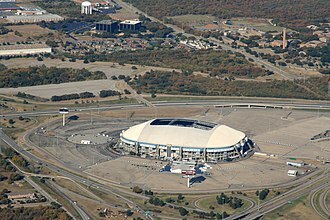 It has been reported that the two sides are apart by approximately $60,000 per team. We note that your Commissioner has fined an individual player as much in the name of "safety." Your actions are looking more and more like simple greed. As players, we see this game as more than the "product" you reference at times. You cannot simply switch to a group of cheaper officials and fulfill your legal, moral, and duty obligations to us and our fans. You need to end the lockout and bring back the officials immediately. Under Goodell's leadership, on August 30, 2013, the NFL reached a $765 million settlement with the former NFL players over head injuries. The settlement created a $675 million compensation fund from which former NFL players can collect from depending on the extent of their conditions. Severe conditions such as Lou Gehrig's disease and postmortem diagnosed chronic traumatic encephalopathy would be entitled to payouts as high as $5 million. From the remainder of the settlement, $75 million would be used for medical exams, and $10 million would be used for research and education. However, in January, 2014, U.S. District Judge Anita B. Brody refused to accept the agreed settlement because "the money wouldn't adequately compensate the nearly 20,000 men not named in the suit". In 2014, the cap was removed from the amount. After the NFL suspended New England Patriots quarterback Tom Brady four games for his alleged awareness of team employees deflating footballs, as indicated in the Wells Report, the NFLPA filed an appeal of his suspension on May 14, 2015. Despite their request for a neutral third party arbitrator, the NFL announced that Goodell would preside over Brady's appeal hearing, which he did on June 23. Goodell announced his upholding of the suspension on July 28, citing the destruction of Brady's cell phone as critical evidence that Brady "knew about, approved of, consented to, and provided inducements and rewards in support of a scheme by which, with Mr. Jastremski's support, Mr. McNally tampered with the game balls." The same day, the NFL filed papers in Manhattan federal court to confirm Goodell's upholding of the suspension. A day after the suspension was upheld, Brady and Patriots owner Robert Kraft made statements criticizing the league, with Brady stating that he was never "made aware at any time during Mr. Wells investigation, that failing to subject my cell phone to investigation would result in ANY discipline." On August 4, U.S. District Judge Richard M. Berman ordered the transcript from Brady's appeal hearing released to the public. Writers quickly spotted contradictions between Goodell's statement and Brady's testimony, notably regarding increased phone conversations between Brady and team staffer John Jastremski in the weeks between the AFC Championship Game and Super Bowl XLIX. Dan Wetzel of Yahoo! Sports pointed out that while Goodell had stated in upholding the suspension that Brady claimed he only spoke with Jastremski about football preparations for the Super Bowl, which would be suspicious if correct due to the increase in communication, Brady had testified in the hearing that other topics, including the alleged deflation, were discussed. 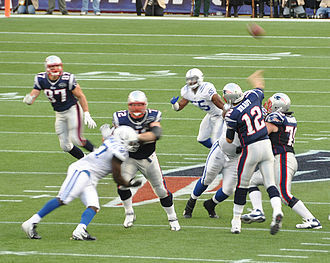 The NFL was also criticized for a conflict of interest at the hearing, as one of the lawyers who worked on the Wells Report, Lorin Reisner, cross-examined Brady during the hearing on behalf of the league; Ted Wells' independence in his investigation, as repeatedly asserted by the league, was also put to question, as he testified that NFL counsel Jeff Pash reviewed the report. Berman vacated Brady's suspension on September 3, citing a lack of fair due process. Analysts criticized Goodell for his violation of due process in order to uphold an extreme punishment and his arrogance in presuming he superseded the NFL's rules. Wetzel stated that "Judge Berman didn't declare Brady innocent on Thursday; he declared the NFL guilty of violating federal law in trying to declare Brady guilty." Michael Hurley of CBS Boston pointed out that the NFL's case was centered on Article 46 of the league's Collective Bargaining Agreement (CBA), but Berman cited Article 46 as evidence that the league had used unfair process. The NFL announced it would appeal Judge Berman's decision just hours after the suspension was overturned. The appeal hearing was held March 3, 2016. 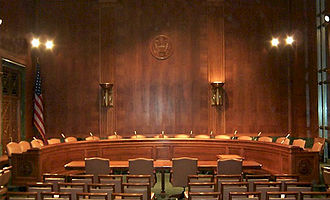 At the hearing the three-judge panel of the United States Court of Appeals for the Second Circuit scrutinized Players Association lawyer Jeffrey L. Kessler more intensely than NFL lawyer Paul Clement, with Circuit Judge Denny Chin even stating that "the evidence of ball tampering is compelling, if not overwhelming." On April 25, 2016, the Second Circuit reinstated Brady's four-game suspension for the 2016 NFL season. Circuit Judge Barrington Daniels Parker, Jr., joined by Circuit Judge Chin, wrote that they could not "second-guess" the arbitration but were merely determining it "met the minimum legal standards established by the Labor Management Relations Act of 1947". Circuit Chief Judge Robert Katzmann dissented, writing that the NFL's fines for using stickum were "highly analogous" and that here "the Commissioner was doling out his own brand of industrial justice." On May 21, 2015, The Washington Post published an article that Goodell's efforts to harshly suspend Brady were "part of a personal power play", supporting public claims that he was simply trying to demonstrate authority within the league. On May 23, 2018, Commissioner Goodell and NFL owners approved a new policy requiring all players to stand during the national anthem or given the option to stay in the locker room during the national anthem. Any players from a NFL team who protested the anthem while on the field would become subject to discipline from the league. In addition, the teams as a whole would be subject to punishment and other forms of discipline from the NFL as a result. In October 1997, Goodell married former Fox News Channel anchor Jane Skinner and together they have twin daughters, born in 2001. He has four brothers: among them are Tim, who is a Senior Vice President for the Hess Corporation, and Michael, married to Jack Kenny, creator of the short-lived NBC series The Book of Daniel. The Webster family on the show was loosely based on the Goodell family. Goodell's cousin Andy Goodell is a member of the New York State Assembly. ^ "Goodell chosen as NFL's new commissioner". NFL.com. National Football League. August 8, 2006. Archived from the original on August 13, 2006. Retrieved June 7, 2016. ^ "Roger Goodell Signs Contract Extension That Could Net Him $40 Million A Year". www.msn.com. December 6, 2017. Retrieved December 6, 2017. ^ Feith, David (January 8, 2011). "Will the Lights Go Out in the NFL?". The Wall Street Journal. p. A11. Retrieved February 14, 2011. ^ Maske, Mark (August 9, 2006). "Owners Pick Goodell as NFL Commissioner". The Washington Post. Retrieved February 14, 2011. ^ Gloeckler, Geoff; Lowry, Tom (September 26, 2007). "Roger Goodell: The Most Powerful Man in Sports". Business Week. Archived from the original on April 18, 2011. Retrieved February 14, 2011. ^ a b "Action for Healthy Kids Board of Directors". ActionForHealthyKids.org. Archived from the original on June 23, 2006. Retrieved December 17, 2006. ^ "Roger Goodell named NFL Commissioner". Scout.com. August 9, 2006. Archived from the original on October 31, 2007. Retrieved August 9, 2006. ^ "Roger Goodell Biography". TV Guide's Celebrity Bios. TV Guide. Retrieved January 20, 2012. ^ "Goodell, Roger". Education for a Lifetime. Washington & Jefferson College. Archived from the original on 2012-05-15. Retrieved 2012-05-15. ^ King, Peter (August 8, 2006). "Goodell named new commissioner". Sports Illustrated. Retrieved August 8, 2006. 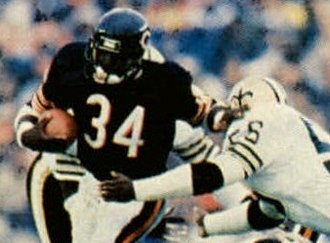 ^ "New commissioner joined NFL in 1982". ESPN. August 8, 2006. Retrieved August 8, 2006. ^ Crepeau, Richard C. (2014). 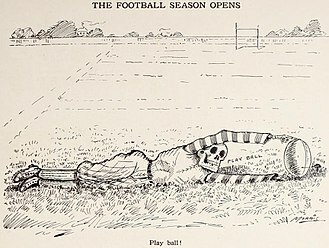 NFL Football: A History of America's New National Pastime. University of Illinois Press. p. 171. ISBN 978-0-252-09653-2. ^ Korth, Joanne (August 13, 2006). "Dream job comes with challenges". St. Petersburg Times. Retrieved September 15, 2014. ^ "Goodell, from PR intern to commissioner". Associated Press via NBC Sports. August 9, 2006. Retrieved April 22, 2010. ^ Matuszewski, Erik; Eichelberger, Curtis (August 8, 2006). "NFL Picks Goodell, Once an Intern, as Commissioner". Bloomberg. Retrieved August 8, 2006. ^ a b Maske, Mark (August 2008). "Commissioner Vote Was Close". blog.washingtonpost.com. Archived from the original on May 23, 2011. Retrieved January 6, 2007. ^ a b "New Commissioner Joined NFL in 1982". ESPN. August 9, 2006. Retrieved January 20, 2012. ^ Davis, Nate (August 5, 2011). "Goodell, Smith Sign CBA at Hall of Fame". USA Today. Retrieved January 20, 2012. ^ Goldberg, Dave (August 8, 2006). "Roger Goodell chosen to succeed Paul Tagliabue as NFL commissioner". Canada: CBC. Archived from the original on January 1, 2013. Retrieved August 9, 2006. ^ "Goodell doesn't mention Roethlisberger". Associated Press. 2010-06-28. Retrieved 2012-03-23. ^ "League of Denial: The NFL's Concussion Crisis". Frontline. October 8, 2013. PBS. ^ Odierno, Raymond (April 29, 2014). "April 28, 2014 -- CSA's remarks at Twilight Tattoo". Retrieved September 13, 2016. ^ a b c "NFL Goodell suspends Pacman for year; Henry for 8 games". ESPN. 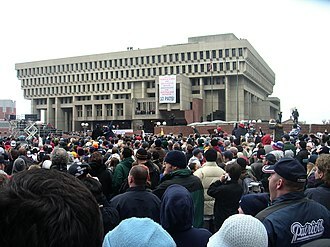 April 10, 2007. Retrieved April 10, 2007. ^ Weisman, Larry (September 4, 2007). 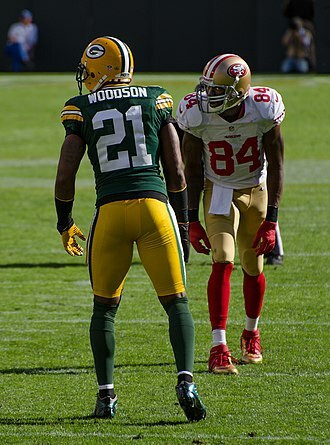 "Harrison, Wilson hit with drug suspensions". USA Today. p. 8C. Retrieved May 16, 2008. ^ Mayer, Larry (June 4, 2007). "NFL announces Tank Johnson suspension". ChicagoBears.com. Retrieved August 25, 2007. ^ O'Dell, Larry (August 25, 2007). "Vick Couldn't Scramble Out of This Mess". ABC News. Archived from the original on August 28, 2007. Retrieved August 25, 2007. ^ "NFL suspends Pacman Jones indefinitely". Associated Press via Google.com. October 14, 2008. Archived from the original on October 18, 2008. ^ "League upholds Suh's Suspension". Fox Sports. Associated Press. December 2, 2011. Retrieved January 11, 2012. ^ "Ray Rice terminated by team, suspended by NFL after new violent video". CNN.com. ^ Peters, Craig (October 21, 2010). "Titans Players React to NFL Memo on Increased Discipline for Illegal Hits". TitansOnline.com. Retrieved July 19, 2011. ^ Mark Kaboly (November 4, 2010). "Polamalu thinks Goodell has too much authority". Pittsburgh Tribune-Review. Archived from the original on November 7, 2010. Retrieved November 4, 2010. ^ Belson, Ken (1 August 2014). "Roger Goodell Defends Length of Ray Rice's Suspension". New York Times. Retrieved 3 August 2014. ^ Associated Press (September 13, 2007). "NFL fines Belichick, strips Patriots of draft pick". NFL. Retrieved September 14, 2007. 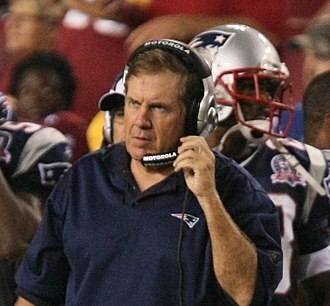 ^ "Belichick draws $500,000 fine, but avoids suspension". ESPN. September 14, 2007. Retrieved May 16, 2008. ^ "Roger Goodell signs 10-year CBA". Associated Press via ESPN.com. August 6, 2011. Retrieved August 14, 2011. ^ Kuriloff, Aaron (April 14, 2011). "NFL's Goodell to Hold Call With Giants Season-Ticket Holders Amid Lockout". Bloomberg. Retrieved August 14, 2011. ^ Klemko, Robert (March 21, 2012). "Sean Payton suspended, Saints fined for bounty program". USA Today. Retrieved October 11, 2013. ^ Goodell Talks Punishments. ESPN. March 21, 2013. Archived from the original on March 24, 2012. ^ Murphy, Brian (August 4, 2012). "Minnesota Vikings, NFL turning to replacement officials, for better or worse". Pioneer Press. Retrieved August 4, 2012. ^ "Replacement referees: NFL players fear negative effects, Sporting News poll finds". Sporting News. August 24, 2012. Retrieved August 24, 2012. ^ a b c Connor, Tracy (30 August 2013). "NFL and players reach $765 million settlement over head injuries". U.S. News. Retrieved 15 December 2013. ^ "Judge scuttles NFL's $760M concussion settlement", MarketWatch citing NBC10 Philadelphia, January 14, 2014. Retrieved 2014-01-15. ^ Jason Breslow, "Judge Approves NFL Concussion Settlement", PBS, July 7, 2014. ^ "NFLPA appeals Patriots QB Tom Brady's four-game suspension". ESPN.com. 14 May 2015. Retrieved 2 March 2016. ^ John Breech (14 May 2015). "Roger Goodell will hear Tom Brady's appeal; no neutral arbitrator". CBSSports.com. Retrieved 2 March 2016. ^ Don Melvin (23 June 2015). "Tom Brady's 'Deflategate' appeal hearing ends after 10 hours". CNN.com. Retrieved 2 March 2016. ^ Jeff Howe (28 July 2015). "Highlights from Roger Goodell's ruling on Tom Brady appeal". Boston Herald. Retrieved 2 March 2016. ^ Armstrong, Kevin; et al. (28 July 2015). "NFL hopes to have expected Tom Brady lawsuit in New York and not Minnesota". New York Daily News. Retrieved 2 March 2016. ^ Orr, Conor (29 July 2015). "Tom Brady responds to Roger Goodell's ruling". National Football League. Retrieved 2 March 2016. ^ Almasy, Steve (29 July 2015). "Tom Brady and Patriots owner attack NFL over 'Deflategate' decision". CNN.com. CNN. Retrieved 2 March 2016. ^ Wetzel, Dan (5 August 2015). "Roger Goodell's manipulation of Tom Brady's testimony leaves NFL on slippery slope". Yahoo! Sports. Retrieved 2 March 2016. ^ Florio, Mike (6 August 2015). "Ted Wells, "independent" investigator in name only". ProFootballTalk. Retrieved 2 March 2016. ^ Orr, Conor (3 September 2015). "Judge nullifies Tom Brady's four-game suspension". National Football League. Retrieved 2 March 2016. ^ Wetzel, Dan (3 September 2015). "The arrogance of Roger Goodell". Yahoo! Sports. Retrieved 2 March 2016. ^ Hurley, Michael (3 September 2015). "Hurley: After losing Deflategate, Roger Goodell should be embarrassed". CBS Boston. Retrieved 2 March 2016. ^ Patra, Kevin (3 September 2015). "NFL officially appeals Tom Brady decision". National Football League. Retrieved 2 March 2016. ^ McCann, Michael (1 March 2016). "Deflategate is back in court: Preview of NFL's appeal hearing". Sports Illustrated. Retrieved 2 March 2016. ^ "In trying to restore his authority, Goodell undermined his credibility". Washington Post. Retrieved 2016-10-05. ^ Knoblauch, Austin (May 23, 2018). "NFL expected to enact national anthem policy for '18". NFL.com. NFL Enterprises, LLC. Retrieved May 23, 2018. ^ "Roger Goodell's statement on national anthem policy". NFL.com. NFL Enterprises, LLC. May 23, 2018. Retrieved May 23, 2018. ^ Schefter, Adam (August 8, 2006). "Goodell now comes to the forefront". NFL. Archived from the original on August 14, 2006. Retrieved August 8, 2006. ^ Sepinwall, Alan (2005). "TV's New Religious Saga". Beliefnet. Retrieved December 17, 2006. Wikimedia Commons has media related to Roger Goodell. Adam Bernard Pacman Jones is an American football cornerback and return specialist for the Cincinnati Bengals of the National Football League. He was drafted by the Tennessee Titans sixth overall in the 2005 NFL Draft and he played college football at West Virginia. Jones has played for the Dallas Cowboys and he was suspended from the NFL for the entire 2007 season and for part of the 2008 season for off-the-field conduct. Jones was born in Atlanta and raised by his mother, Deborah Jones and his father was killed in a robbery in 1991 at the age of 26. As a child growing up in the Sandtown neighborhood of Atlanta, Gary Jones was crucial to Adam maturing into an adult. Gary is now a teacher, football coach, and basketball coach at The Westminster Schools in Atlanta. When Jones was a freshman at West Virginia University, his grandmother died of cancer, Jones only missed one game of his college career. On the day of the NFL Draft, Jones wore a T-shirt that featured his grandmothers picture, Jones attended Westlake High School, in Atlanta, Georgia. Westlake was considered a powerhouse, in 2005, the school had the most alumni in the NFL with six players. In addition to his accomplishments in football, Jones earned All-American honors in basketball and his basketball team won two state championships. Jones was an Athletic Coaching Education major and a member of the Athletic Directors Academic Honor Roll, as a freshman in 2002, Jones appeared in 11 games for West Virginia as a reserve cornerback and safety. He totaled one interception and one forced fumble with 36 tackles, during 2003, he appeared in all 13 games, starting nine at cornerback, and taking over full-time kick return and punt return duties. Jones second season resulted in a second team All-Big East Conference selection with his career-high 89 tackles and four interceptions and he had six tackles for losses, one forced fumble and two fumble recoveries. He had a career-high 12 passes defended that season, in one of his best games of the year, against Boston College, Jones scored two touchdowns in a 35–28 win over the Eagles, one an 87-yard kick return and the other, a 47-yard interception return. The Cincinnati Bengals are a professional American football franchise based in Cincinnati, Ohio. The Bengals currently compete in the National Football League as a club of the leagues American Football Conference North division. Their home stadium is Paul Brown Stadium in downtown Cincinnati and their current head coach is Marvin Lewis, who has held the position since 2003 and is currently the second-longest tenured head coach in the NFL, behind the New England Patriots Bill Belichick. Their chief rivals are the Pittsburgh Steelers, Cleveland Browns, the Bengals were founded in 1966 as a member of the American Football League by former Cleveland Browns head coach Paul Brown. Brown was the Bengals head coach from their inception to 1975, after being dismissed as the Browns head coach by Art Modell in January 1963, Brown had shown interest in establishing another NFL franchise in Ohio and looked at both Cincinnati and Columbus. Due to the merger of the AFL and the NFL. The Bengals, like the other former AFL teams, were assigned to the AFC following the merger, Cincinnati was selected because, like their neighbors the Reds, they could draw from several large neighboring cities that are all no more than 110 miles away from downtown Cincinnati. 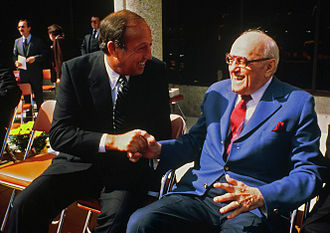 The Bengals won the AFC championship in 1981 and 1988, but lost Super Bowls XVI, after Paul Browns death in 1991, controlling interest in the team was inherited by his son, Mike Brown. 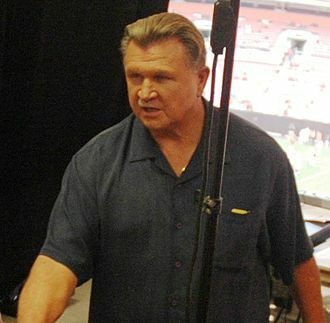 In 2011, Brown purchased shares of the owned by the estate of co-founder Austin Knowlton and is now the majority owner of the Bengals franchise. The 1990s and the 2000s were a period of great struggle, following the 1990 season, the team went fourteen years without posting a winning record nor making the playoffs. 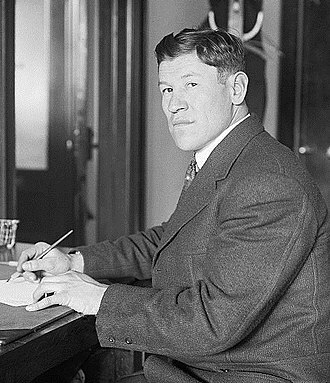 The Bengals had several head coaches and several of their top draft picks did not pan out, Mike Brown, the teams de facto general manager, was rated as among the worst team owners in American professional sports. Since the mid-2000s, the teams fortunes have improved, two years after becoming head coach, Lewis guided the Bengals to their first winning season and first division title in over a decade. After the acquisition of Andy Dalton as quarterback in 2011, the Bengals had made the playoffs each season until 2016, the Bengals drafts are highly touted, leading to a consistency that had long escaped the franchise. 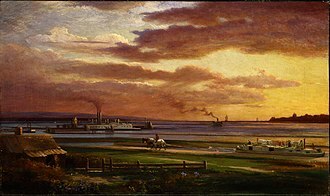 Washington is a city in and the county seat of Washington County, United States, within the Pittsburgh, PA Metropolitan Statistical Area in the southwestern part of the state. 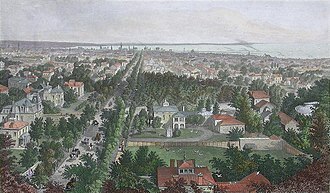 The population was 13,663 at the 2010 census, according to the United States Census Bureau, Washington has a total area of 3.3 square miles, all land. Delaware Indian chief Tangooqua, commonly known as Catfish, had a camp on a branch of Chartiers Creek, the French labeled the area Wissameking, meaning catfish place, as early as 1757. The area of Washington was settled by immigrants from Scotland. 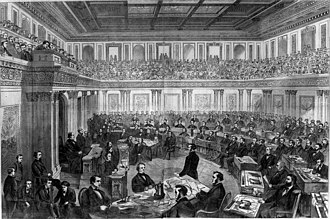 It was first settled by colonists around 1768, the Pennsylvania General Assembly passed an act on March 28,1781, erecting the County of Washington and naming Catfish Camp as the place for holding the first election. This was the first county in the U. S. to be named in honor of General George Washington, David Hoge laid out a plan of lots immediately after the legislatures action. There have long been rumors among locals that the town was named “Washington” because George Washington spent the night in the region once and this is not true however, Washington had never been to the area. The original plot dedicated a tract of ground to the people for recreational purposes. 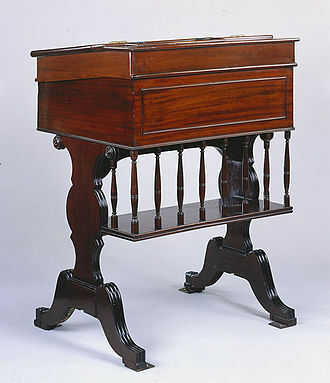 A lot was given for a courthouse where the current building now stands, and Lots 43 and 102, according to the plan, were presented by Hoge to His Excellency, General Washington, and Mrs. Washington. 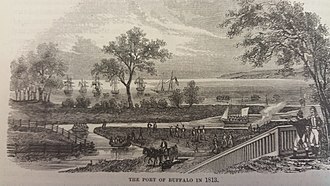 Washington, was the center for the Whiskey Rebellion of 1791, the rebellion was centered on a tax being imposed on whiskey distillation in the region. The house of David Bradford, one of the leaders of the rebellion, is now a devoted to the Whiskey Rebellion. The town was incorporated as a borough on February 13,1810, in August 1875, construction began of the 3 ft Waynesburg and Washington Railroad, conceived by John Day in 1874 and chartered in 1875. Passenger services ended in 1929, conversion to standard gauge followed in 1944, freight services ended in 1976, although part of the line still survives for access to a coal mine. The discovery of oil and natural gas among the Washington oil field caused a period from the 1800s to the early 1900s. 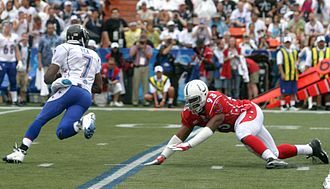 The World League of American Football, renamed the NFL Europe League and NFL Europa, was a professional American football league which operated between 1991 and 2007. 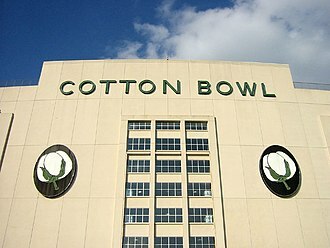 It was backed by the National Football League, the largest league in the United States, each season culminated with the World Bowl. The World League of American Football was founded in 1989 to serve as a type of spring league, seven of the ten teams were based in North America, and the other three in Europe. This format lasted for two seasons, with no league in 1993–94, the WLAF returned in 1995 with six teams, all in Europe, and in 1998 the league was rebranded as the NFL Europe League or NFL Europe, until 2006. For the leagues last season,2007, it changed its name to NFL Europa. The leagues squads were assigned by NFL teams, who wanted these younger, developmental players to get additional game experience. The NFL assumed the expenses of players and coaches living in Europe, the European six-team format was maintained for 12 seasons, from 1995 to 2007, but by 2007 five teams were based in Germany. 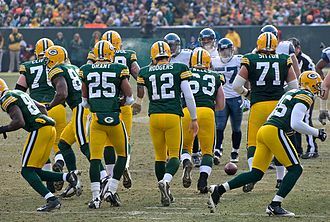 On 29 June 2007, the NFL announced the end of NFL Europa, a previous proposed league in the 1970s, the Intercontinental Football League, had contained many elements of the eventual all-European league. West German entrepreneur Adalbert Wetzel and sports coach Bob Kap secured the release of several NFL players to the IFL for a planned 1975 season. 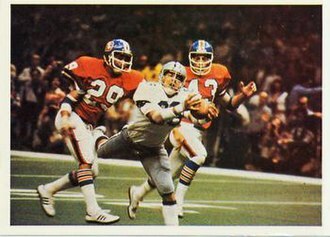 The IFL would have involved teams in Barcelona, West Berlin, Munich and Istanbul, the World League of American Football was formed in 1989, by a unanimous vote of NFL owners, as a spring developmental league, the brainchild of commissioner Paul Tagliabue. This came after the NFL had played popular American Bowls in Londons Wembley Stadium, of the 28 NFL teams,26 paid $50,000 each in start-up costs for the WLAF. Team payrolls and budgets were controlled by the WLAF office but not all teams were owned by the league, in May 1992 it owned five and part-owned three. The WLAF was set up as a professional American football league for North America and Europe, six teams from the United States, in 1991 parties in Moscow and Japan expressed an interest in additional franchises. Rodney Scott Harrison is a former professional football player of the National Football League. Harrison played safety for the San Diego Chargers and New England Patriots and he was a two-time Pro Bowl selection and winner of two Super Bowl rings. During his career, Harrison set and still holds the record for sacks by a defensive back and he currently serves as a commentator for Sunday Night Football on NBC. Harrison went to school at Marian Catholic High School in Chicago Heights. In March 2006, Marian Catholic retired Harrisons No.37 jersey and his varsity numbers were No.26 as a sophomore, No.11 as a junior and No.3 as a senior. He graduated from school in 1991. Harrison played college football at Western Illinois University from 1991 to 1993 and he is the schools record-holder for tackles in a career and tackles in a game. 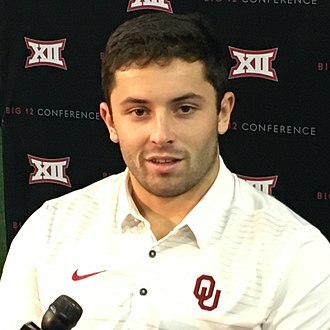 As a freshman, Harrison was a second-team All-Gateway Football Conference before being named a first-team All-Gateway pick as a sophomore, the Associated Press named him a second-team All-American as a sophomore and a first-team All-American as a junior. Harrison was drafted in the round of the 1994 draft, by the San Diego Chargers, the same year they made their only Super Bowl to date. Harrison became a member of the Chargers 1996 defense, going to two Pro Bowls with the Chargers in 1998 and 2001. He set then-career highs with the Chargers in 2000 with 127 tackles and six interceptions, in 2002 he started 13 games, following the 2002 season, on February 27,2003, Harrison was released by the Chargers. Two weeks later, on March 13, Harrison landed with the Patriots, at the time, the Patriots had both Harrison and fellow Pro Bowl safety Lawyer Milloy under contract. Throughout the offseason, the Patriots and Milloy were involved in contract negotiations, Milloy did not comply, and on September 2, he was released. Prior to the 2003 season, Harrison was named a captain in his first year with the Patriots by the coaching staff after Lawyer Milloy was released. On January 10,2004 in the playoff game against the Tennessee Titans, he intercepted Steve McNair. Bronxville Union Free School District is a public school district serving the Village of Bronxville, Westchester County, New York. In 2012,1635 students were enrolled in the elementary, middle. 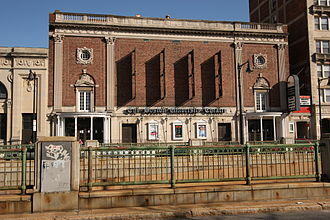 Bronxville is a suburb north of New York City in Westchester County. It was named after Swedish immigrant Jonas Bronck, the latitude is 40. 938N, longitude is -73. 832W. It is in the Eastern Standard time zone, estimated population was 6,515 according to census data. The median household income was $144,940 and it is located on the Bronx River. The town used to be called Underhills Crossing, Lawrence founded Sarah Lawrence College in 1928 in memory of his wife. The town attracted artists and became known as an artists colony. The public library financed an expansion in 2001 when it sold a painting for $4.1 million. The town is known for being an excellent railroad commute to Manhattan, the elementary school, middle school, and high school are located in one large building near the downtown. Its very unusual to have one campus for all three schools, said John Chambers, the former superintendent and it creates an interconnectedness and allows students to really get to know each other. Washington Academy's sole building (now called McMillan Hall), showing the original central portion and the two wings added in 1818. McMillan Hall, built in 1793, is listed on the National Register of Historic Places. 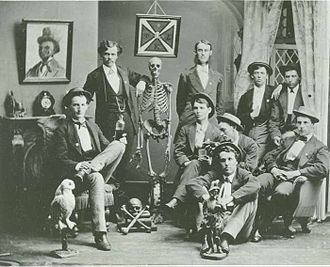 Members of Phi Kappa Sigma pose for a chapter photo in the early 1870s. A new wing was added to accommodate increased enrollment. Bronxville student Karyn Marshall, class of 1974, became the women's world weightlifting champion in 1987 and was inducted in the USA Weightlifting Hall of Fame in 2011; with Arnold Schwarzenegger. Software engineer Gary Robinson pioneered mathematical algorithms to fight spam on the Internet. 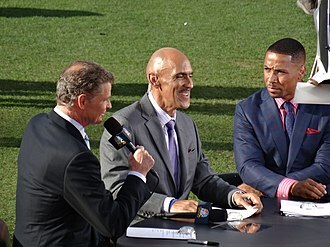 Harrison (right) along with colleagues Dan Patrick and Tony Dungy at a NFL game in Denver in September 2013. Downtown Jamestown, view from Washington Street. Jack Kenny at the 2012 San Diego Comic-Con International.